The light purple stone set in this art deco ring offers a beautiful lavender-color look, but with a more permanent results. The tanzanite stone is set in a welcoming yellow gold and is flanked by two lovely curls of gold to make the stone's setting truly special. The white gold band continues the art deco style with beautifully carved swirls in the band. 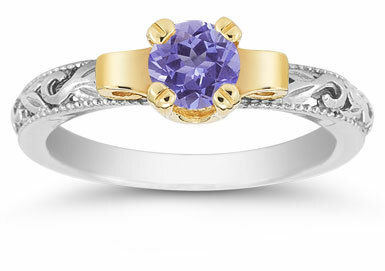 Small leaf shapes are also included, along with dual milgrain edges, making this tanzanite ring one to remember. 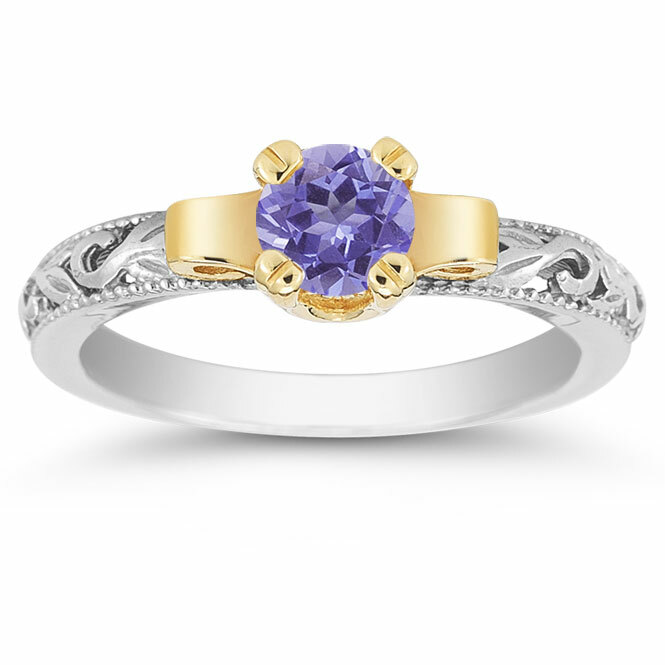 We guarantee our Art Deco Tanzanite Engagement Ring, 1/2 Carat to be high quality, authentic jewelry, as described above.